1. 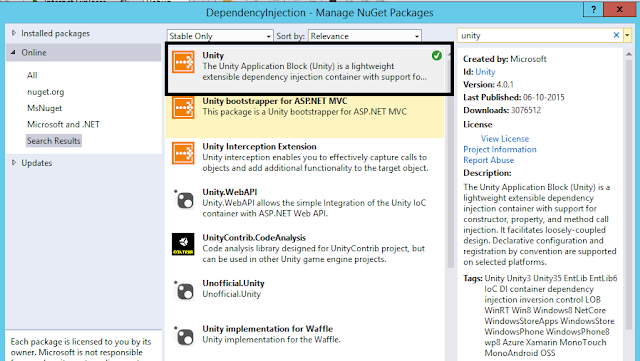 Take the reference of latest Unity DLL from the nugget package. Open the nugget package manager and search with unity. As I have already taken the reference it is showing as selected. 2. We are trying to achieve the way of logging or sending the mail to the Client using the Dependency injection. 3. Let’s create an Interface which is having a method as log the message with error code. If you will see the below code you can find out how you are injecting the class into dependency injection; You are registering the type of interface with the class that you are going to inject. 6. 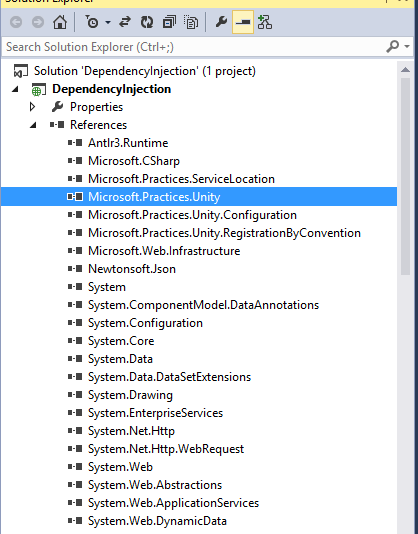 Need to Invoke that Dependency configurator in application start of your Global.asax.cs file like below along with the other configurations. 7. Now you need a Dependency resolver class which will basically solve your problem of dependency based on the request you have raised for. It is basically common code you don’t need to change if you don’t have any custom requirement. Just need to inherit the IDependencyResolver interface. 8. 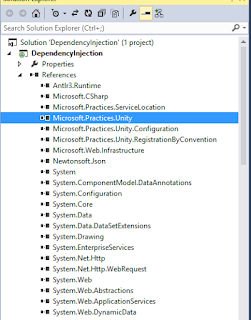 As I told there are three ways to achieve the dependency Injection we are using the constructor based dependency injection on our code so follow the below code for it. I have the HomeController class. Step 2: Assign the type when invoking the HomeController class. 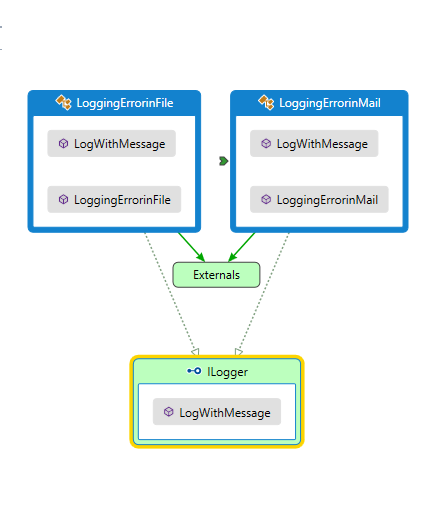 Step 3: Now when you call _logProvider.LogWithMessage it based on 5 point it will execute the behaviour of logging either mail send or logging. It will call LoggingErrorinFile. 9. Now run your application and you will find how it work. You can download the code from below link. Special thanks to Raghavendra who help to create this article.